When you stay with us, we are able to monitor you around the clock to make sure you have the help you need no matter what. 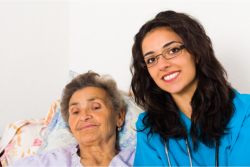 We have excellent physicians, caregivers, care coordinators, hospital discharge planners and more to ensure you are able to receive high-quality care 24/7! If you would like to find out more about our 24/7 monitoring services and how we are able to make sure you have the support you need around the clock, please give us a call now at 907-746-4255.